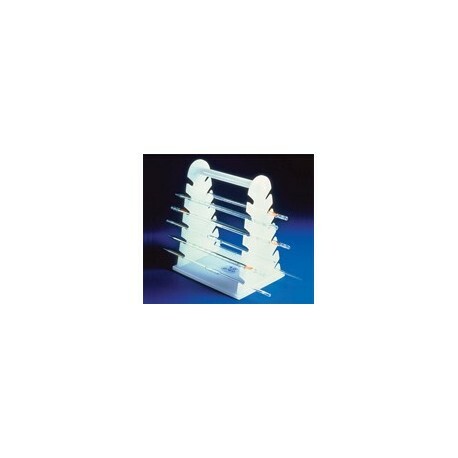 The DRAWDOWN ROD STORAGE RACK horizontally holds up to 12 drawdown or Mayer rods 8.375" (22 mm) in length and longer. 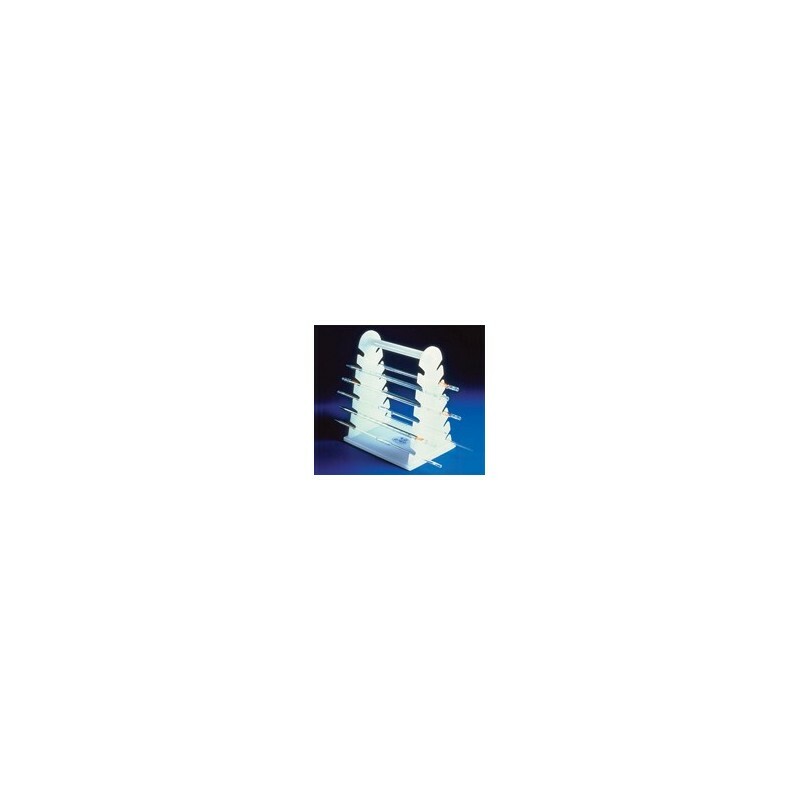 Sturdy polyethylene support measures 9.5 x 7" wide (241 mm x 178 mm) and 11.5" high (292 mm). There is 8.375" (213 mm) between plates with a 0.75" (19 mm) diameter carrying bar at the top. Rods not included.